At the Farooqi & Husain Law Office, we have goals we strive to achieve with every client who walks through our doorway. We understand that when you need an attorney, you may be going through a difficult time in your life, or need assistance facing the many responsibilities associated with a managing a business or estate planning. Our lawyers go above and beyond for our clients. We believe that every client who places their trust in our firm deserves to know exactly what legal services they will receive for their money. We seek to educate clients on the legal process for their particular issue in order to lessen the apprehension and anxiety which tend to come with legal problems. We clearly explain the time frame necessary to handle your legal issue, always answer your questions in a timely, comprehensive manner, and offer creative solutions for billing. 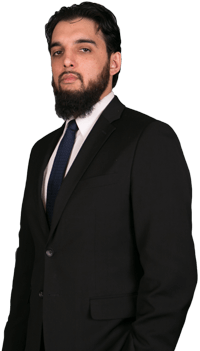 Attorneys Naveed S Husain and Ausaf K. Farooqi have considerable experience in a variety of legal issues, with an emphasis in family law, business litigation, estate planning, and criminal law. There are many instances in which you may find yourself in need of a knowledgeable business attorney. We understand how disruptive business disputes can be to your life, in some cases threatening your financial security. We also understand that disagreements and conflict are almost inevitable in the business world. Our DuPage County business law attorneys will attempt to deal with your business issues quickly, understanding that time is money. When you are in the midst of emotional family law issues, our DuPage County family law attorneys can help. If you are going through a family law issue, we have the skills, knowledge of the necessary Illinois laws, and the compassion to guide you through this difficult time. We understand the volatile nature of family disputes and do our best to help you navigate your family law issue with the least amount of disagreement possible. Whether you are going through a divorce, a child custody issue, or need experienced legal counsel to draw up a prenuptial agreement, we have you covered. We can also help you with your estate planning needs, including wills and trusts and, when applicable, Islamic wills and trusts. We are extremely able business litigators, and our DuPage County estate planning lawyers can provide a foreclosure defense or assist you with probate or guardianship matters. We believe we can offer legal assistance in ways other firms may not provide. 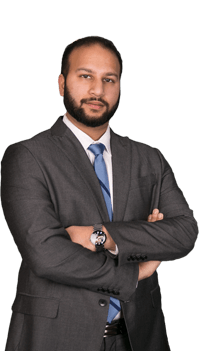 The attorneys at Farooqi & Husain Law Office are committed to your success and will explore every legal option in order to achieve the most favorable outcome with the least negative impact on your future. If you have been charged with a criminal offense, you could face jail or prison time, heavy fines, and an entire litany of other equally devastating consequences. Our DuPage County criminal defense lawyers will fight aggressively for you, researching your case exhaustively in order to present the very best case possible on your behalf. 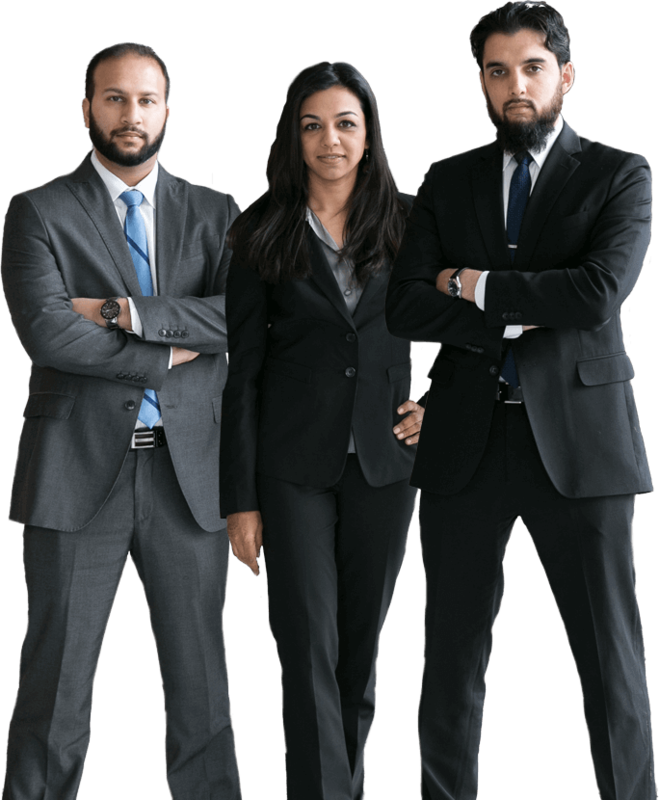 Whether your particular case requires skilled negotiation or aggressive, knowledgeable representation, Farooqi & Husain Law Office has you covered. We are extremely adept at ensuring your rights are always fully protected, no matter what type of legal situation you find yourself in. If you are seeking a community oriented, client-centered law firm, you owe it to yourself to speak to our knowledgeable attorneys regarding your legal issue. For a comprehensive evaluation of your specific legal issue, contact the law firm of Farooqi & Husain Law Office at 630-909-9114. We serve clients in DuPage County and Cook County. We have empathy for your plight and the legal experience and skills to make a difference. Our mission is to provide high quality, creative, and responsive legal services to individuals and business, and to serve as a primary resource and partner in all aspects of our client's affairs and endeavors. Read the latest news and legal issues in the areas of divorce, family law, criminal defense and estate planning. Our office is conveniently located off of I-88 and 22nd Street in Oakbrook Terrace, just east of Yorktown near Redstone Restaurant.